This simple and functional style shows the subtle variations of the timeless 1909 collection. ‘Quarter of a round’ beading, traditionally used to soften a classic Shaker profile, enhances this Dove Grey painted finish perfectly. 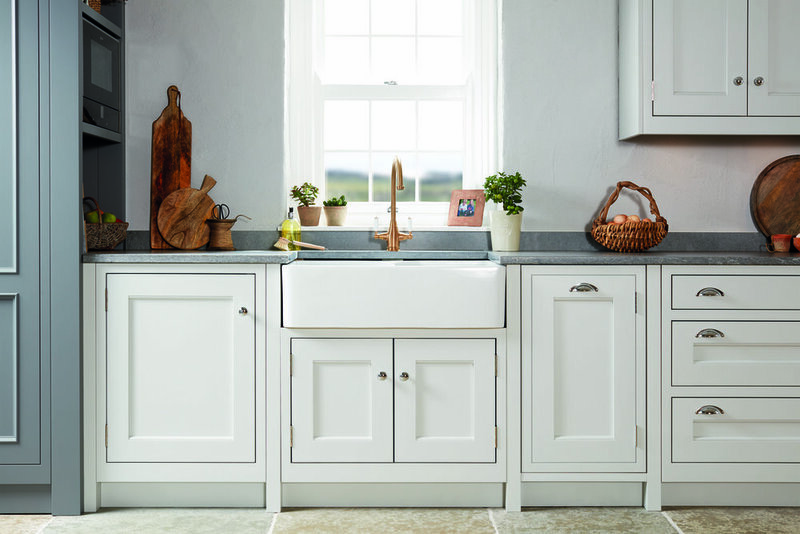 Combining a mix of Chrome cup and knob handles, a Belfast sink, an integrated chopping board and separate tray, it accentuates a popular farmhouse trend, creating a warm environment, fitting with any sized space.